We, the so-called “Millennials,” are the first generation to grow up with the Internet. Born in 1992, I used a computer before I was in kindergarten. For the newest generation of young adults, consuming and creating digital media feels as normal as drinking coffee in the morning and brushing our teeth before bed. We are the generation that will innovate technology to new heights. We’re on the cutting edge, able to keep up with new trends before they become popular. But even Millennialsare not immune to falling behind the curve. My sister – born six years after me – has much broader view of trends in the digital landscape. She shows me new apps and sends me trendy websites that everyone has heard of, visited, and shared – everyone but me. At 21, I’m not immune to being obsolete. For a generation that dreams in 140 characters, watching PBS programming is not only a source of intellectual vitality, but also a respite from the inundation of byte-sized chatter. It balances our hyperactivity. It anchors us. Just as articles have poured out in recent years about deep versus superficial reading, I believe an argument can be made for deep versus superficial watching. I love videos of corgis as much as anyone else, but watching programming that requires sustained attention can be just as important. Educational media – the stuff that makes you think – doesn’t have to be dry, hours long, or irrelevant to your daily life. It would be remiss of me to even suggest that digital is the future of a place like PBS. It also would be ignorant to say broadcast media hasn’t experienced a paradigm shift toward increasing digital presence. 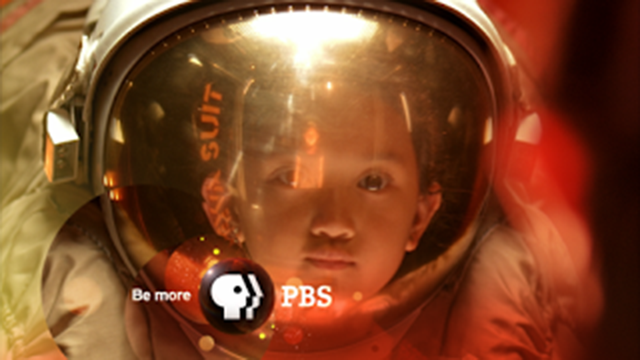 But PBS is a company who airs both educational and entertaining content, both on-air and online. You can’t have one without the other. Consider the content Millennials create in digital formats to bolster broadcast media. In March earlier this year, Cinesauraus produced viral video “PBS Meets The Avengers” where Mr. Rogers, Bill Nye, Bob Ross, and Carl Sagan team up to save PBS in a fictional universe where it’s lost funding. That’s what I call an inspiring use of digital media to support the message of PBS: the people who never underestimated us when we were children are now our superheroes when we’re adults. That spirit is why I wanted to work for PBS. This is a company that doesn’t underestimate the intellect of the American public. Its programming isn’t diluted or oversimplified. 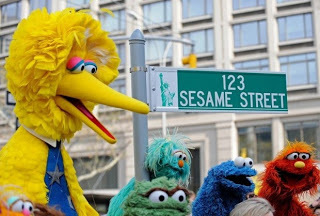 Even as children, Sesame Street raised us with content that was simultaneously comical and sensitive, approaching issues ranging from as simple as pronouncing phonetics to as complex as understanding death. PBS treats us as more, and it sticks with us for the long haul; the tools Mr. Rogers gave us to think are the same tools we’ll use later in life when we watch Charlie Rose interview President Obama. PBS is important to my generation because it doesn’t sell us short. Millennials have been critiqued as zombies behind screens, but PBS interprets us in a different light: we’re just creating media in new ways. We, who are more likely to run our thumbs across glass than pencil across paper, need more places like PBS that will listen to and adapt with how we learn. This company stands on the pillars of the greats that came before it, but standing on pillars is not the same as resting on laurels. This is a place that’s lunging into new territory, and I’m excited for my generation to help PBS lay bricks in new spaces.